parasympathetic ganglia of the cardiac plexus lying between the ascending aorta and the bifurcation of the pulmonary artery and of the plexus extension onto the atria and atrioventricular groove. 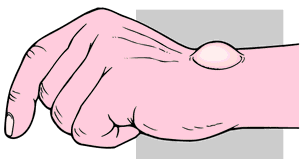 One such ganglion is commonly found adjacent to the ligamentum arteriosum; the ganglia consist of postsynaptic parasympathetic neurons that send fibers to the nodal tissue and periarterial plexuses of the coronary arteries. Parasympathetic ganglia of the cardiacplexus lying between the arch of the aorta and the bifurcation of the pulmonary artery. Structural remodeling of nucleus ambiguus projections to cardiac ganglia following chronic intermittent hypoxia in C57BL/6J mice," Journal of Comparative Neurology, vol. Impairment of baroreflex control ofheart rate and structural changes of cardiac ganglia in conscious streptozotocin (STZ)-induced diabetic mice," Autonomic Neuroscience: Basic & Clinical, vol. Welsh requires acknowledgement as a generative force in proposing physiological studies of crustacean cardiac ganglia and their neurohumoral modulation to receptive students (Donald Maynard, D.